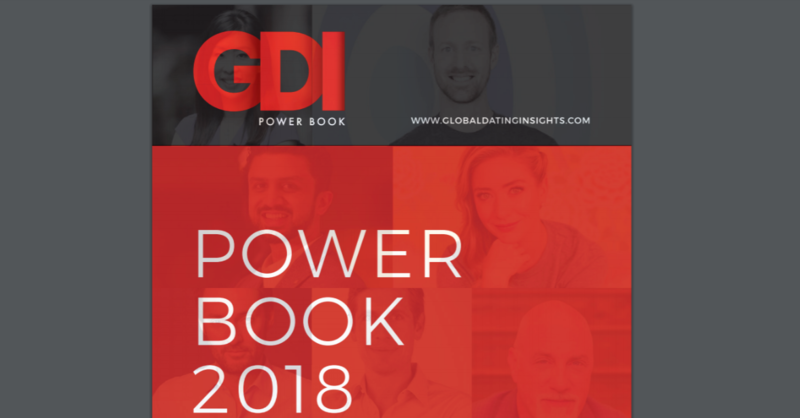 On Valentine’s Day in February, Global Dating Insights presented the 2018 edition of the GDI Power Book in association with ExoClick. This fourth celebration features a host of niche brands and innovators alongside the big names, and pays special attention to those dating executives who have moved with the times and operated at the technological frontier. “Since last Valentine’s Day, the online dating world has seen some tectonic movement”, says GDI Founder, Simon Corbett. “There are newly formed, publicly listed, transnational groups to watch, exciting developments in the white label space, and disruptive technologies pushing the boundaries of what’s possible. 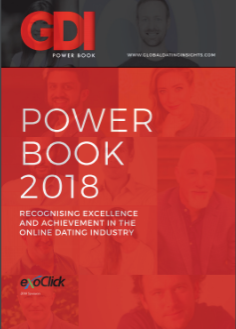 ExoClick COO, Adrien Fonze, sponsor of this year’s Power Book, comments: “Online dating is a crowded and rapidly changing industry. We saw some real jostling for position in and around the new year. Among the executives featured this year are Bumble’s Whitney Wolfe Herd, for her major growth and expansion of the feminist dating app, Tinder’s Brian Norgard, for the introduction of Tinder Gold, and Single Muslim’s Adeem Younis, for crossing significant landmarks in numbers of downloads. Congratulations to all of the professionals who made the cut!